Eye Color: Amber - Glows a bright golden upon release of Reiatsu. Around this time, you are now reaching the speed of low jets or planes flying in the sky. Now skimming the speed at the very tip of this tier at at least 300 mph,Early on your still hovering in the lower hundreds. Military jets flying at cruising speed in the sky are basically what your keeping up with and it's shocking them. This is a level of strength often seen by Shinigami captains are the physically stronger Espada. At the top of the tier, their punches will rip through steel, Obliterate plywood. Walls?, Floors? Almost any restraint that isn't Kido would have some problem. The lower level of restraint Kido can be dropped, with the very tip of this tier in strength. They leave small craters, when they punch something. Their slashes are enough to cause massive damage if their target doesn't have enough stamina. Against someone in the tier below them it would be difficult. If the power difference is enough, then they could even fracture an arm from the block alone. A Shinigami V.C or third seat, would be around this level. Able to be thrown into buildings and towards the ground and still shrug it off almost as it doesn't hurt. They can lose a decent amount of blood before beginning to feel like they are about to pass out. Broken bones make the body part unable to be used, but they can still fight. A broken rib and a lot of fatigue will hinder them but they can still keep on moving. This is something often seen by Shinigami captains. Why these people can stand around for what seems like forever, picking out the best route to move. Those two benchmarks behind them in speed seem like their standing still when they focus. Their aim is truly something to watch out for as they will rarely ever miss a target no matter what they aim for. If they want to pin you too a wall from a distance, you can trust they won't accidentally eviscerate you. Those inside their benchmark speed wise are easily followed. While increasingly difficult based on the gap those in the one above are hard to follow. Those 2 benchmarks above can barely be comprehended in terms of speed. This is the absolute highest level for Reiryoku available to people. These people will destroy cities mountains and other things. Their attacks, Ceros and other parts cause some ridiculous damage. the area is totally changed when they are done fighting. Sometimes if they go all out enough it is impossible to tell the difference between a war zone and where they just got back from fighting. A true place to fear, being at the height of this tier your presence alone cause small rocks and dust to kick up and be near them. Sealed Form: While the true powers of Uzume are not being utilized in any way, the appearance of a katana sword of average length. The blade always reflects the same shine as its wielder's eyes. Its hilt is a midnight black, decorated with small, white diamonds along the sides and the tsuba is a circular design. The sheath is all black, adorned with three white strings . At the end of each string is a small, dark stone brimming with fragments of the user's spirit energy. Shikai Form: In Uzume's Shikai form, the Zanpakutō's blade straightens and is coated with a unique fire that burns radiantly. These flames are everlasting, at least until commanded to die down. No other physical changes are apparent upon the Shikai's release. Bankai Form: The Bankai Form of Uzume, Orihu, brings in a great change to the user's physical appearance and the blade. For the blade, it becomes greater in length-- roughly 95 centimeters-- and the entire sword becomes white flames that are stronger than steel. The user's regular Shinigami uniform is replaced with one resembling the Zanpakutō's; the pants of this new attire, actually, are like the flames themselves while still resembling those of a Shihakushō. The user's chest is wrapped in white bandages and they gain the same facial markings as Orihu. Their hair becomes as white as the flames they wield, and their eyes bare the flames of immense light. Truly, it reflects how strong their will is. Shikai Release Command: "Bring forth a light to punish the injustice of people's hearts. Cause for them to tremble and strike fear into their eyes with the flames of Heaven. Uzume!" i. The user performs a brief dance that is similar to the Samurai dance known as Shinsengumi. In rhythm with the body movements, wisps of white fire follow after the user’s hands and feet. At the end of the dance, when these wisps become streams, the user stands with one foot behind the other, and their hands held up in front of them-- palms open, thumbs are used to keep sword in place horizontally. The flames gather into a medium-sized ball of swirling fire before being launched. Upon impact, if it were to hit the target or any solid obstacle, the fireball explodes. Damage could be minimal or serious depending on the power level of the one it is used against. i. The user, with Uzume's blade being coated in the white flames, stabs the ground until the whole blade is buried. As a result, a single spike of fire shoots out from the ground diagonally to pierce the user’s target. i. The user points their Zanpakutou at their intended target. From the base of the already flame-coated blade, shoots a narrow stream of white fire to scorch anything in its path. Depending on the power level of the one it is being used against, damage can be minimal or serious. i. A simple technique where the user holds Uzume above their head and swings downward to create a vertical arc of white fire. Depending on the power level of the one it is being used against, damage can be minimal or serious. i. The user repeats the command used to unleash Shikai. But, instead of saying the name of the Zanpakutou again, the name of the technique is spoken. 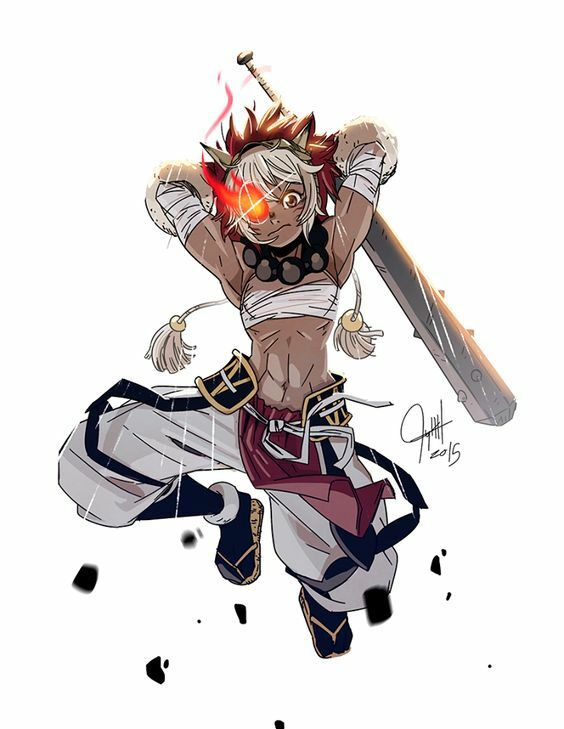 As a result, the blade with a body of flames enlarges to become the length of a longsword. It’s power increases as the user becomes stronger and may deal great damage. Bankai Release Command: "By divine order, consume all evil and smite the weak with your blessed flames. Leave no wicked presence standing and defend the innocent children of God." i. An advanced form of “Dance of White Fire” where the user performs a series of rhythmic movements. With each step, a patch of white fire rises from the ground and lightly “dances” with the user and shapes into thick streams that circle him/her. During this dance, the Zanpakutou is twirled from one hand to the other and causes for the flames to coat the entire body of the weapon. The finale of the dance brings forth a powerful ending where the user slams one blade into the ground to send a fiery shock wave at the target, followed by another shock wave of equal force. i.The user’s Zanpakutou is enveloped by powerful white fire. He/She then rushes toward the target and attacks with a series of four slicing strikes, one spin before each swing. Directly after, the user kicks the target away and drags one blade across the ground to trigger an explosive fire that is intended to eliminate the target. i. The user jumps into the sky above the target and holds their Zanpakutou with both hands-- one blade is pointing at the sky, the other is pointing downward at the target. As the Zanpakutou is blanketed by white fire and the user by a thick aura, a column of fire shoots out from the user’s position and travels along a path directed by the Zanpakutou’s alignment. The damage can range from severe burns to obliterating the target, depending on their power. i. The user holds their Zanpakutou like a lance and pours a portion of their life force into it. Depending on how much is put in, the blade of the Zanpakutou is blazing with white fire and grows in length. The user then charges toward the target and attempts to pierce them with the fiery blade. Whatever comes into contact with the blade triggers a high-powered explosion to do additional damage. Damage varies depending on the power of the target and if they are pierced first or not. i. A majority of the user’s life force is used to power this technique, which will result in them becoming catatonic depending on how much is put in. This attack is high in power and occurs like an explosion where an monstrous ball of melting, white fire gyrates around the user’s form. The Zanpakutou itself becomes the fire, so it vanishes from the user’s hands to take the shape of this exploding ball. Because the explosion is gyrating, it creates a current that is like an attractive force. Damage can be severe and fatal. The user is inflicted with damage as well, and can possibly be left in critical condition with severe burns all over the body. As soon as this ability is used, the user must be taken into emergency treatment as they could die. Should it be used more than once, death is inevitable. Sealed Form: In its sealed form, Mizu no Rūrā bears similar features to Uzume, but its colors are the exact opposite-- white with black designs. Although, it does not take the appearance of a katana. Instead, it resembles a nodachi with a blade at the length of 75 centimeters and the hilt being just a few inches longer than a katana's. Shikai Form: As soon as the user unleashes the power of their Shikai, Mizu no Rūrā's changes shape and becomes a pair of fitting bracelets around the user's wrists and ankles. These bracelets are a platinum color and hold a shining gem in the center that glows with powerful spirit energy. With each movement, droplets of water follow around the hands and feet of the user, constantly ready to be commanded. Bankai Form: In Bankai form, the user's physical appearance changes just as Orihu changes it. Hōrīshīdansā, too, dresses the user in a uniform greatly resembling their Zanpakutō's, except they wear the pants of white Shihakushō and have ice blue, feline eyes. The sword has become water itself, reflecting a righteous light that surrounds the user for as long as this form is active. Shikai Release Command: "Thou who hast partaken of the sanctified water of God, come forth and act upon his guidance and smite all wickedness before thou. Fear none who seek to intimidate thou, and dance by the guidance of His hand. Mizu no Rūrā!" i. As soon as the user activates their Shikai, the entire body of Mizu no Rūrā dissolves into a liquid substance-- a form of water that reflects the light of the user’s spirit. The liquid form of Mizu no Rūrā splits to flow by his/her hands as they perform a brief, but graceful dance. 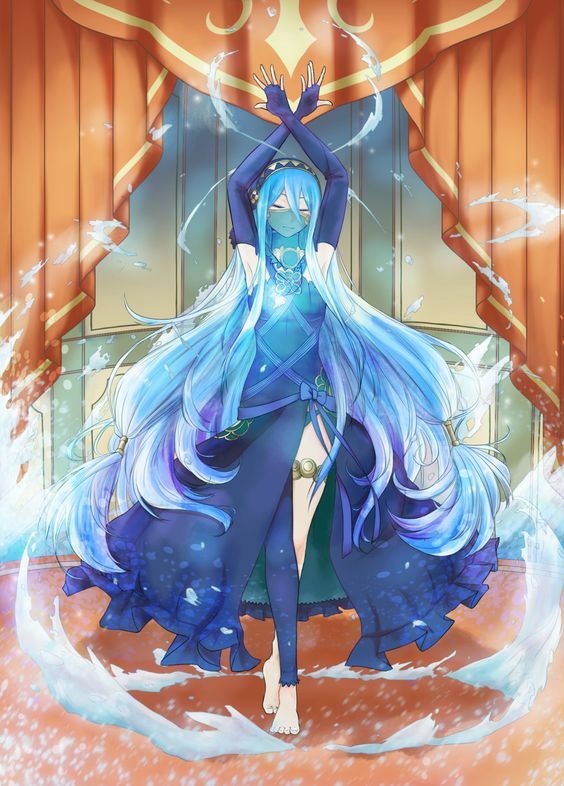 With the first dance being commenced, the user uses a flick of their wrists partway to shoot a single, piercing bullet of water to injure the target and possibly stun them. i. If the user continues their dance, then they proceed with the rest of the dance, but with more emphasized movements. The user flicks their fingers and performs a high kick, sending cooperative attacks at the target-- one is a bullet of water, the following is an arc that projects a ripple effect through the air it travels. The first attack that hits is meant to knock the target off balance while the follow up knocks them away. i. Further along in the dance of Mizu no Rūrā, the user performs two high kicks and one jumping kick to send three arcs of water to thrash the target about. While there is no fire involved, the liquid form of the user’s Zanpakutou in this attack is scalding hot and could burn the target with each hit. i. As the user approaches the final dance of Mizu no Rūrā, their dance movements become more profound. The user spins once, attracting the flow of water around their body. As soon as they stop, facing the target with their arms reaching up above their head, the water breaks apart into small particles and are launched at the target at once. These small droplets of water have become acidic in during this part of the dance and can seriously injure the target should they hit. i. At the finale, the user brings their dance to a conclusion with elegant and graceful movements. With light steps and directional motioning of the arms to guide the water, the user first scatters small drops of water around their body to prompt the target into backing off, but abruptly stops before being directed into the sky. Upon the user saying the command “Sanpu”, the liquid ball shatters into a pouring rain of water that can erode solid material such as rock and concrete, and beat the target without mercy. 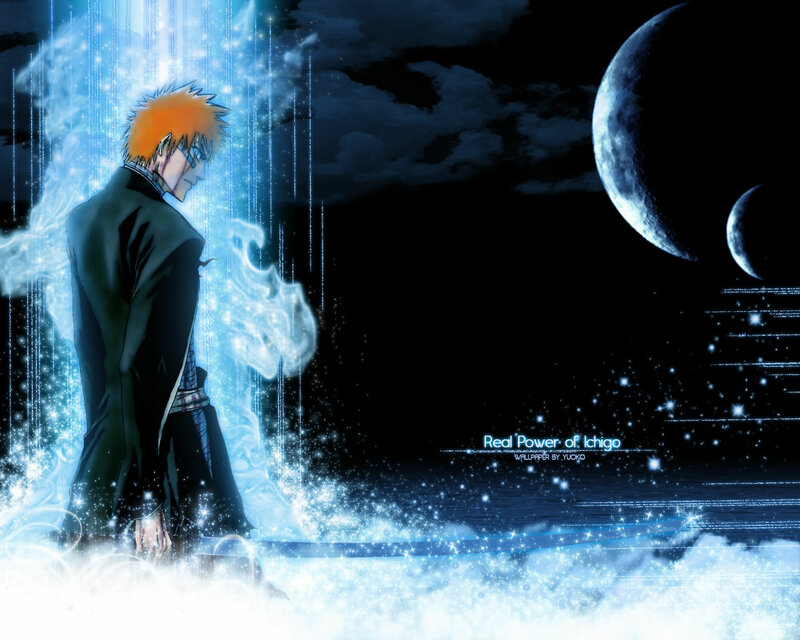 Bankai Release Command: "Stand not in the grasp of the darkness. Refuse the hand of temptation and step into the Radiance of the Light. Be pure and as powerful as the sea of Holiness. Become one with He who has raised you from the chains of submission. Hōrīshīdansā." i. Similar to its Shikai form, the Bankai abilities are influenced by a dance performance. The user’s movements are more vigorous and express the intent to destroy. Before the user begins, they hold their Zanpakutou out in front of them and release it so that the blade and entire sword sinks into the ground, creating ripples that summon a wide radius of water for the user to utilize. Throughout the dance, the user is generating a barrage of water bullets that are strong enough to break bones. A total of five, bowling ball sized water bullets are fired. i. As the user performs for their second assault, he/she gathers two streamlets, then clasps their hands together to form the streamlets into a single flow of water. The user then guides it from above their head to their left hip, followed by a swift palming of the air in front of the user to fire a thick stream of water to tear through the target, should it hit them. i. As the name of the technique implies, the user’s dance becomes much more vigorous and fierce. The water around the area, starting from under the user’s foot, pulses with great energy until the user stomps their foot. This action triggers a series of mid-sized pillars to shoot out from the surface of the water in a path headed for the target. It’s ruthless power is meant to tear away flesh and erode material that it comes into contact with. i. One of the user’s more powerful Bankai techniques. Approaching the finale, the user’s dance movements are elegant, but express the user’s will to kill. Teams of streamlets stir around his/her body until they perform a somersault, then these streams of water instantaneously fall into the watered ground as soon as the user lands on their feet. A deep rumbling causing for a series of ripples to form in the layer of water, signaling that the attack has commenced. The radius of water that had formed at the start of the Bankai begins to emit a mist of steam that is hot to the touch, and it gets hotter until reaching the boiling point. At that time, when it reaches this ‘boiling point’, a great eruption of a pillar of water that is just as intense as a great geyser. The intent of this attack is to burn and rip at the flesh of the target. i. At the end of the Bankai form’s dance, the user’s movements have slightly toned down but express an undying spirit. The water around the area, starting from under the user’s foot, fans out into a current that shreds most in its spiral-patterned path as soon as the user stomps their foot on the surface of the plain of water. It’s nature is similar to that of a mega tsunami, behaving as a killing wall of water to pound the target into submission or death.